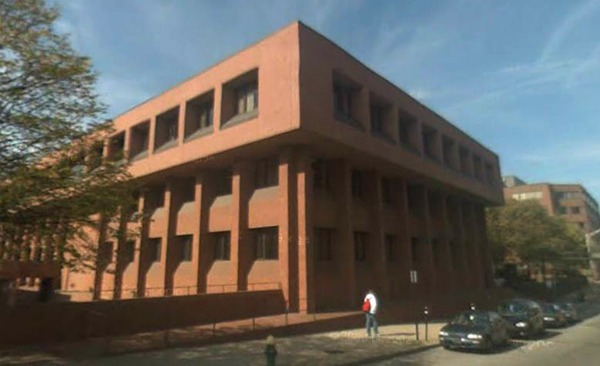 Last night the City Council passed a resolution naming the City Administrative Building at 444 Westminster Street after former Mayor Joseph A. Doorley, Jr. Doorley, a Democrat was mayor from January 1965 through January 1975, preceeding Buddy Cianci. On Thursday, February 2nd, the Providence City Council passed a resolution officially naming the City’s new municipal building after former Mayor Joseph A. Doorley, Jr. “A consummate public servant who helped modernize and revitalize our City, I can think of no one more deserving of this honor than Mayor Doorley,” said Council President Michael A. Solomon (Ward Five). As mayor from 1965 to 1975, Doorley earned a reputation as a “no nonsense” manager of City finances and took a hard-line stance when it came to special interest groups and their influence on municipal policies. He was the driving force behind the construction of the Dunkin Donuts Center (then known as the Providence Civic Center), and led a major effort to bring in new businesses to Providence and improve the economic climate. The Joseph A. Doorley Municipal Building is located at 444 Westminster Street and will house the offices of Arts, Culture and Tourism, Building Inspections, Economic Development, Information Technology, Planning and Development, Workforce Solutions, Zoning, and the Law Department. When I visit the office to apply for a variance to add a 3-car garage to my house, where am I suppose to park? I’d be cheaper anyway if this office could be relocated to Warwick, even if its outside city limits. The building has parking. You can access the lot from Greene St. It is the parking deck right next to the building. This is one of the buildings BCBS-RI vacated not too long ago, to retreat into their glass cube. I’m not sure why the Council’s Press Release said this list of agencies will move there. Planning is there already and has been since July-ish. Maybe some of the other agencies are still in the process of moving, maybe the Council has no idea what is happening in this building?